Many of us fondly remember sniffing tiny perfume samples out of magazine sleeves as teenagers. Sometimes, it was our mom’s magazine we stole scents out of, in other cases it was a Seventeen Magazine we purchased at the checkout stand. But now, there’s a new cruelty-free perfume brand that lets us try our scents at home once again. So we can bask in the fragrances and nostalgia all in one. 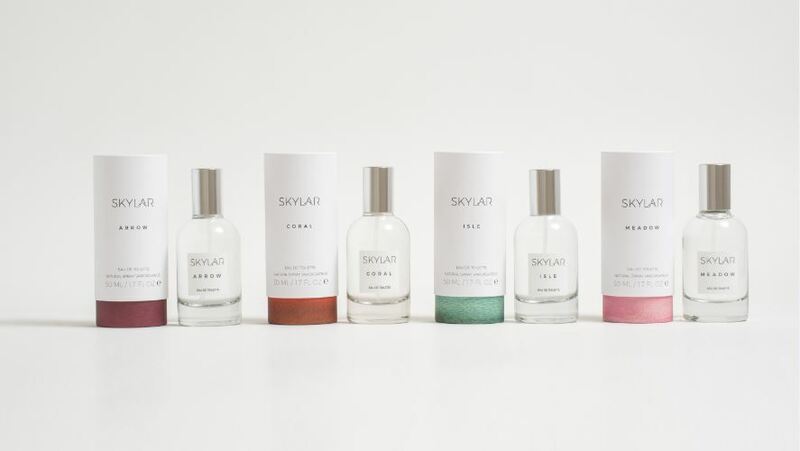 The newly launched brand of fragrances is called Skylar and all of their scents are completely cruelty-free, natural, and hypoallergenic, and made without artificial dyes. 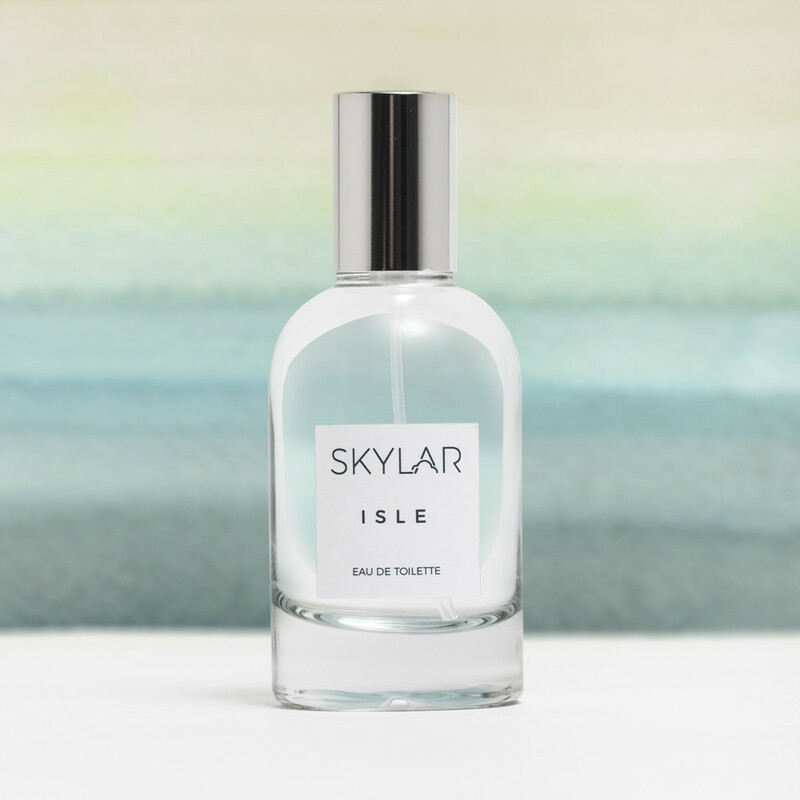 The ultimate goal behind the company was to create a fresh line of perfume that isn’t loaded with toxic or allergenic ingredients (although that means something different to everyone). Going beyond that, they wanted to personalize the perfume experience for women on another level. 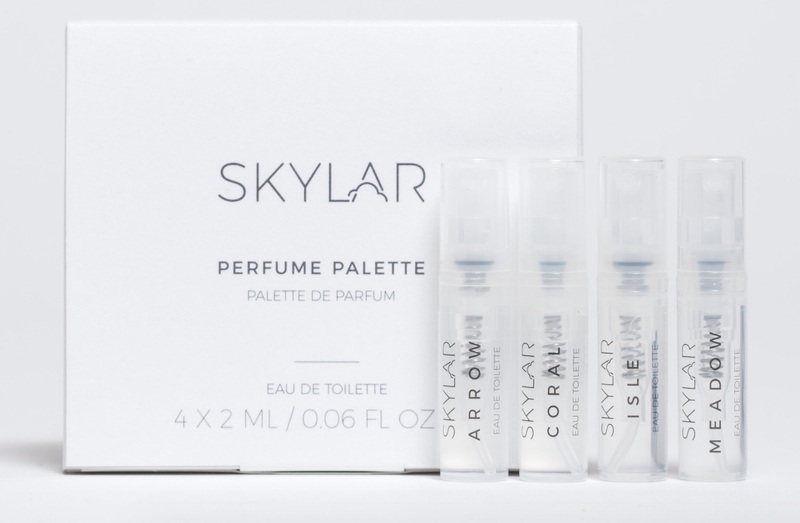 Rather than force women to commit to a full-size bottle (which costs $78), Skylar offers customers the Perfume Palette option so you can sample all four of their scents. It costs $20 for the palette initially, but once purchased, customers receive a $20 credit towards their next purchase! So technically, you can try all four scents for free. The four delicious smelling scents include Arrow (jasmine, vanilla, and patchouli), Coral (black currant and sandalwood), Isle (cardamom and sandalwood), Meadow (orange blossom and jasmine). 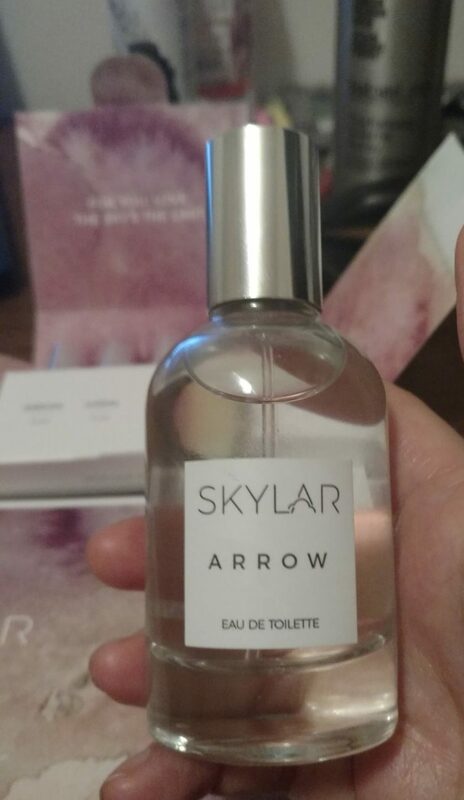 I couldn’t resist requesting some samples to try at home, and Skylar was generous enough to send me a full-size bottle of their fragrance Arrow! Even the packaging feels earthy and floral, as all of it is hand painted watercolor. I was like, “Okay this is wonderful and full of whimsy, I GET IT.” But really, look at that nice watercolor touch. My first impression of the fragrances were that they were all refreshingly light, a property that seemed fitting for a company avoiding toxic ingredients. Oftentimes, I’ve found that perfumes either drown me in chemicals or waft away too quickly, these have a nice staying power without choking you. 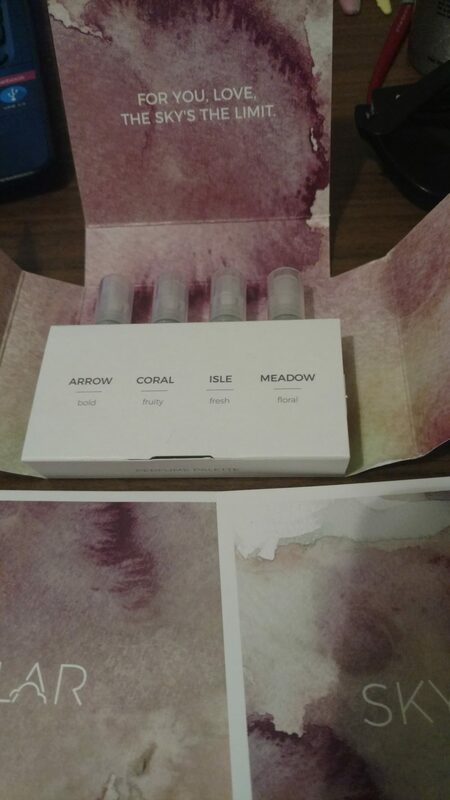 I was lucky I received a full bottle of Arrow because it was by far my favorite of the scents. The mix of jasmine and patchouli gives Arrow the vibrancy of an outdoor tea garden. It feels natural and light, but still lustrous. My boyfriend smelled it and said, “Oh wow, that’s light, I dig.” I might send his information over so he can be a PR person. 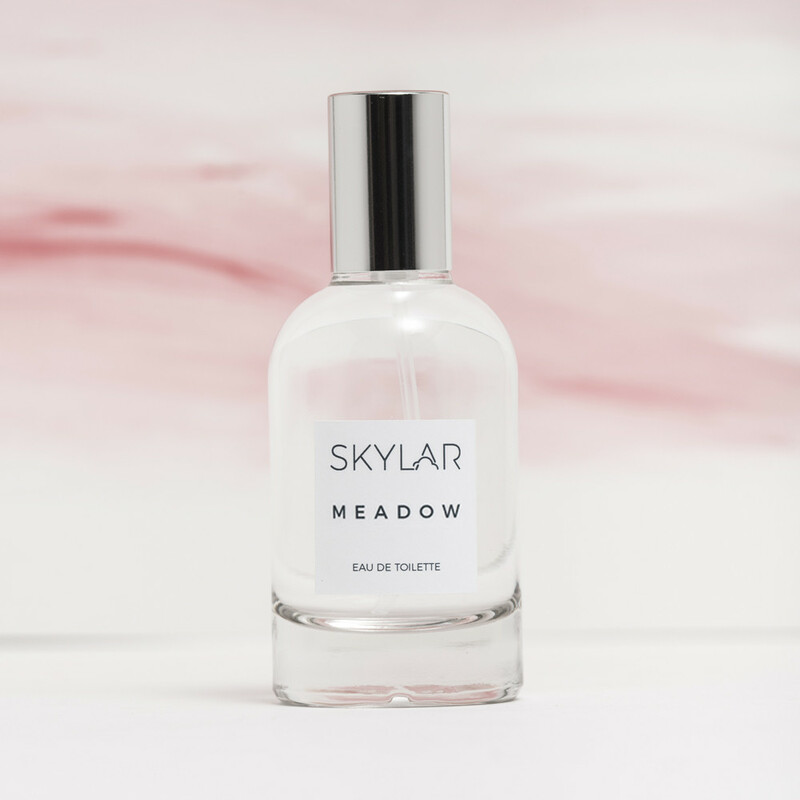 The Meadow scent definitely felt flirty and feminine, it felt like a scent ideal for a guest at a summer wedding. You know, when you’re single and ready to flirt with the groomsmen. 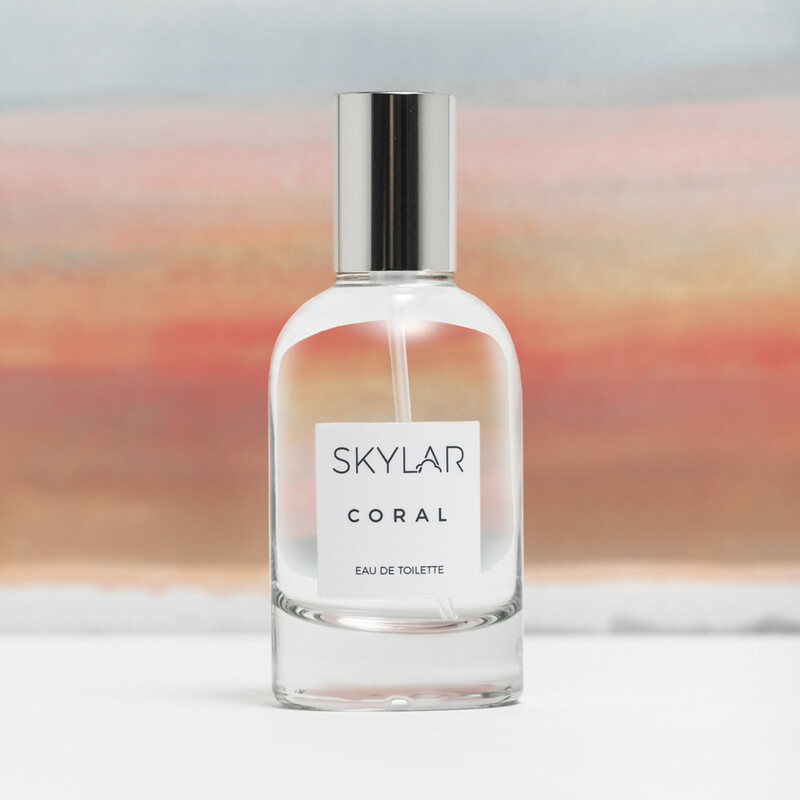 I’d recommend Coral to anyone whose weaned themselves off the fruity mall perfumes, because it feels like a natural answer to the popular fruit scents of the ’90s. I must say, the experience of playing with the perfumes at home was 8000% more fun than trying them on in a store. Besides the fact that I was able to spray myself with scents while dramatically singing Joni Mitchell’s Blue, it was a lot easier to gauge what the perfumes individually smell like when they’re not buried in a store corner with a million other scents. Also, there’s an emotional comfort of being home that lends itself to just knowing which smell you connect with. 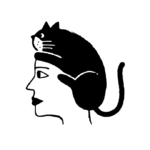 If you’re feeling in the mood to play with some perfumes at home, you can check out the Perfume Palette for yourself.